Pizza is one of the first casualties of a keto diet. The carb-loaded crust is a no-go for ultra-low-carb eaters, but any keto meal plan that doesn’t include these baked portobello mushrooms topped with onions, tomatoes, mozzarella, and hot Italian sausage is sorely lacking. With just six net carbs, these tasty pizza alternatives offer a more natural option to some of the “keto-approved” chicken and cauliflower crusts. Salad may seem like an obvious low-carb meal for keto eaters, but you’ll struggle to get enough fat unless you’re intentional with your toppings. This salad piles up on protein with chicken and rounds out with salty, savory prosciutto for a dish that ends up with just over seven net carbs. Need more calories? Double your chicken. Grilled steak is one of the easiest keto meals, but when you’re looking for a flavor boost, turn to this umami-rich scallion and ginger sauce. Fresh ginger adds a bit of zip and bite to the creamy pan sauce. Oyster sauce is loaded with salty, funky umami notes. This dish only has two net carbs, so that leaves plenty of room for a side of loaded mashed cauliflower. Brussels sprouts are a keto eater’s best (green) friend. These low-carb vegetables cook up beautifully in ghee or roasted in flavorful oils. They also happen to make a hearty salad when shredded raw like we did for this Caesar variety. One serving yields six net carbs, so finish off the plate with grilled chicken, lamb, or fish. When you’re looking to boost your fat numbers, one of the easiest ways is to add meaty crumbles to meals. Chorizo, a type of fatty Mexican sausage, is an especially great option for chicken, pork, fish, and more. Here, it’s cooked down with onions, carrots, and bell peppers for a tantalizing topper for a basic grilled chicken breast. The complete dish has only 2.4 net carbs, so make up a spinach salad with bacon dressing or roasted Brussels sprouts for a side. Keep a bottle of roasted red peppers in your fridge so you can whir together a simple pesto or romesco sauce for any protein you’re planning. 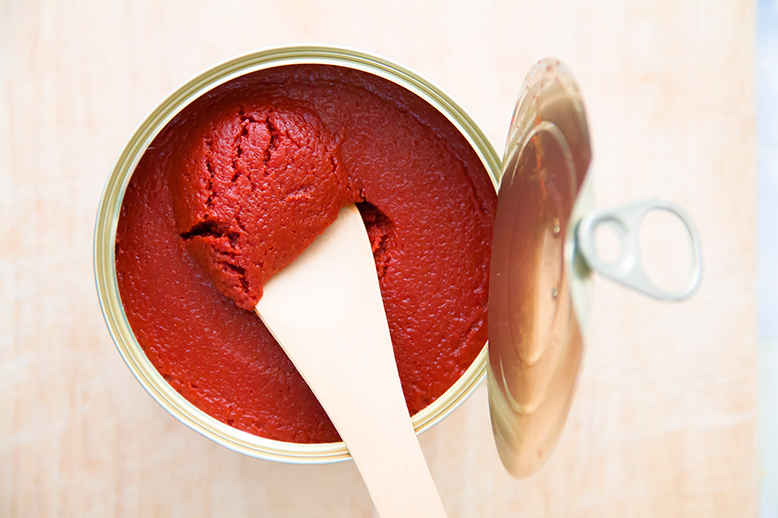 Here, this zippy sauce cuts the fatty salmon with bright notes of garlic and tomato paste. With just under two net carbs per serving, use up your remaining carbs for the meal with some grilled or roasted asparagus. A great option for a busy weekday or a relaxing date night, this steak salad comes together easily thanks to quick-cooking strip steak. While the steak is soaking up the mashed garlic coating, toss broccoli with oil and roast it for an easy side. Grilled green beans would also be a welcome addition to round out this keto meal. Grill them until crisp-tender while the steak is resting. An easy way to boost flavor and improve your macros for any meal is to add cheese. In this simple chicken recipe, herby goat cheese adds fat and flavor while keeping carbs low. With just one gram of carbohydrates, this easy keto recipe leaves room for a side of roasted cauliflower, spinach salad, or riced cauliflower sauteed with ghee and garlic. This zesty salad will be a welcome break from many of the fat-rich foods you eat in a day of keto meal plans. Large shrimp provide a healthy dose of good-for-you fats and protein, but feel free to boost that number with some chopped avocado. This dish has five net carbs and almost 20 grams of fat. If the quarter teaspoon of sugar is a step outside your keto comfort zone, substitute with stevia or erythritol. Chicken patties, like crab cakes, seem more difficult than they are, and they’re a great vessel for smearing on lots of extra fat—a spicy mayo or flavored sour cream would be delicious with these patties. With just one gram of carbohydrate and fewer than 200 calories, you could easily double this recipe for a filling dinner or lunch. Serve with a spinach salad to round out the meal. This sheet-pan keto meal may find its way into rotation before you know it. Salmon is one of the most fat-rich fish you can eat, but keep boosting your macros with a luscious dip of creme fraiche, a type of rich, thick cream. (Imagine heavy whipping cream, but in a dippable or spreadable version.) Keep a lemon wedge nearby if you need a bit of fat-busting zing. Flank steak is a tremendous weeknight option for keto eaters on the go. The ultra-thin slice of beef cooks in just minutes to a perfect medium or medium-rare. Keep the protein simple but go a bit extra with the dipping sauces or glazes, like this soy and mustard combination, which has just two grams of net carbs. Heavy whipping cream cuts the tang of the condiments; double the sauce if you want plenty for serving over a starchy side, like cauliflower rice, as well. A tangy lemon and tarragon mayonnaise is the perfect dressing for sweet crabmeat. Paired with seared avocados, this keto meal is a wonderful carb bargain (one stuffed half of an avocado has just two net carbs). If you’ve got the carbs and calories to spare, there’s no shame in eating a second serving of this decadent combination. When you’re tired of basic chicken salads, shake things up with this blackened version and funky blue cheese vinaigrette. The secret to success in this dish, which has just over six net carbs, is the spice combination. No pre-mixed option will do; you need to make your own for maximum flavor satisfaction. A scant quarter-cup of blue cheese is used for four servings of this easy salad, but you can add more to boost your fat total. The potent combination of Indian spice and tangy yogurt infuses chicken with flavor during a lengthy marinade. Mix it up before you go to work, or let it sit overnight if you’re planning to grill for lunch. The pack of spice punch is cooled off by an herby raita sauce. Calorie conscious eaters prefer fat-free yogurt, but keto eaters should swap that for full-fat yogurt to keep carbs down. (As is, the chicken and sauce have just over four net carbs.) Serve with a cauliflower rice patty or mashed cauli. If you’re prone to add guacamole or smashed avocado to just about every dish you eat to get your fat numbers higher, this dish will please your palate. An avocado salsa, complete with kicky serrano chiles, potent red onion, and zesty lime juice is the perfect complement to grilled lean New York strip steaks. Together, the whole meal has just 2.6 net carbs. Mix the salsa up early so the flavors can mingle while you mix the spice rub and get the steak on the grill. Serve with roasted asparagus tossed in toasty ghee. Hanger steak is often overlooked for its more popular cousin, flank steak, but with a bit of extra fat, this tender cut has a supreme flavor and texture. Don’t hide the beefy flavor under fatty dressings and toppings. Instead, keep it simple with a bed of greens, a sprinkle of salty Parm, and a simple oil-and-lemon dressing for just two net carbs. This guacamole, made with toasted walnuts and extra-virgin olive oil, serves up a serious dose of healthy fats. Layer that with salmon, and this dish adds over 32 grams of fat to your day for just two net carbs—and that includes a side salad. Keep this one pinned to your fridge. You’ll come back to it often. For this simple keto meal, have a little fun with muffin tins and the ubiquitous keto protein, the egg. Salty bacon pulls its flavor punches by turning the humble mini frittatas into flavor-packed bites you can eat at breakfast, lunch, or dinner. (Just serve with a salad for the latter two meals.) Substitute heavy whipping cream for the reduced-fat milk to notch down the carb number. As is, two mini frittatas turn up just two net carbs. Chicken thighs are a great option for keto eaters because the dark meat packs more flavor and fat than ultra-lean breasts. For these thighs, which have just three net carbs, a simple white-wine sauce gets a zingy kick from briny capers and lemon juice. Serve with broccoli or a massaged kale salad to round out the dish. You can’t have Taco Tuesday, but you can have Wrap Wednesday, and once you try these Asian-inspired wraps, you’ll be reserving it on your calendar for weeks to come. Umami-rich fish sauce pulls the flavor weight for these wraps; it’s combined with garlic, ginger, serrano chile, and a bit of vinegar for mouth-tingling sauce for ground pork. Three plentiful wraps have just two net carbs. That’s a carb bargain! This is keto comfort food at its finest. With just over five net carbs, this Salisbury steak is draped in a luscious mushroom gravy that’s made with red wine, butter, and beef broth. The sauce also calls for one tablespoon of all-purpose flour, which is rarely in keto pantries, as a thickener. Never fear: If you don’t have it or don’t want to use it, substitute for almond flour. Don’t overestimate the time it takes to make crab cakes. Keeping the mix simple and sticky will help the cakes come together easily and cook quickly. Two of these cakes are just five net carbs, so serve with a side salad doused in lemony dressing, and scoop up an Old Bay-flavored mayo for a coastal dinner that meets your keto needs. Here’s another great reason to keep bottled roasted red peppers in your fridge. Romesco sauce is a creamy pepper sauce with almonds, oil, and vinegar, and whirred up in the blender. It adds bright, tangy flavor to any protein; here, for just seven net carbs, it’s served with sauteed halibut. Smoky ancho isn’t always used in romesco sauces, but it’s a welcome contrast in this fish dish. Whenever you can add a fat-rich sauce to lean protein, do. It’s one of the easiest ways for keto eaters to keep their macro counts in check. Here, basic grilled chicken breasts get a flavor and fat boost from satay, an Asian-inspired nut butter sauce with pops of flavor from vinegar and chili sauce. The final dish has just six net carbs. The spice rub for the chicken has a bit of brown sugar; you can look for a keto-friendly alternative or eliminate it entirely. Though sugar is used here in the initial rub for the pork, the final dish has just four net carbs. Don’t bother substituting. A low-and-slow roast in the oven turns the often-tough pork shoulder fatty and tender. Finally, the pulled pork is tossed in a combination of sweet-spicy gochujang, soy sauce, and ginger. What’s more, leftovers just get better with time as the pork soaks up the sauce. A food processor breaks down chicken breasts into tiny pieces, which soaks up the curry and chile flavors of this larb more quickly. Everything cooks in just 10 minutes, too, so you can make this keto meal in under 30 and for just under four net carbs. For keto eaters, frittatas are a wonderful clean-out-the-fridge option. Toss leftover meat, vegetables, and cheese into a base of eggs and cream for a fast and efficient dinner. If you don’t have the leftovers and still want to try this versatile dish, kale and mushrooms, which both tenderize and become more sweet and toasty in the baking process, are ideal for a keto-friendly frittata. You can eat this at breakfast or with grilled veggies or salad for lunch or dinner. With just over three grams of net carbs, this simple soup is a wonderful make-ahead keto meal option. Italian chicken sausage imbues the chicken broth with flavors of fennel and sage. Spinach turns silky in the soup’s heat, and artichoke hearts, an usual but entirely keto-friendly addition, are toothsome and chewy without being waxy. Skip the ciabatta bread and serve with keto crackers if you need a bit of crunch. For just five ingredients and seven net carbs, this fast keto dinner is a great option for busy weeknights. Fish sauce is potent enough to add major flavor in a short period of time. Asparagus and onion both tenderize quickly in a faux stir-fry. Just don’t crowd the pan. Everything will steam or boil instead of fry if your pan is too small. Briny olives and tangy feta cheese, both great sources of fat, form the flavorful base of this Greek-inspired topper for chicken breasts. Another quick-cooking keto meal, this dish has just six net carbs, so you’ve got room for a salad or side of grilled vegetables.